São Paulo, Narobi, Lagos, Mexico City, Cairo, New Delhi, Rio de Janeiro, Mumbai, Caracas – Megacities. Through the various stories, explorations, photos, and inquiries of favelissues we peer into the most dense and populated places in the world. We are intently focused on the urban side of the rural to urban shift. But what about the root of this flux? What about the rural, the vast lands that stretch beyond our expansive megacities? How is the trend of migration from rural to urban affecting the landscape of small interior towns in the countryside? My upcoming posts will look more closely at a particular instance of rural transformation and conditions in the state of São Paulo. The state of São Paulo experienced its a burst of growth, both urban – São Paulo city and rural – interior farms, in the late 1800’s largely due to the growth of the coffee industry, which depended on intensive manual labor during harvest. Waves of southern Europeans, mostly Italian, moved to interior farms to work in the fields of coffee farms, which became the centers of rural life. As the industry grew so did farms and subsequent small interior towns. ­The industry reached an apex before World War I and then declined due fluxuating and unpredictable international coffee prices. Coupled with farming mechanization, farms were no longer able to support the same amount of live-in labor. Small workers houses began to empty as families moved from farms to rural towns, which intern became the new regional centers of community, worship, education, and commerce. This shift marked an important rural to “urban” migration, one that did not occur suddenly but over a period of decades. Many laborers continued to work on farms while others became small business owners, teachers, construction workers, cleaners, cooks, and general laborers. 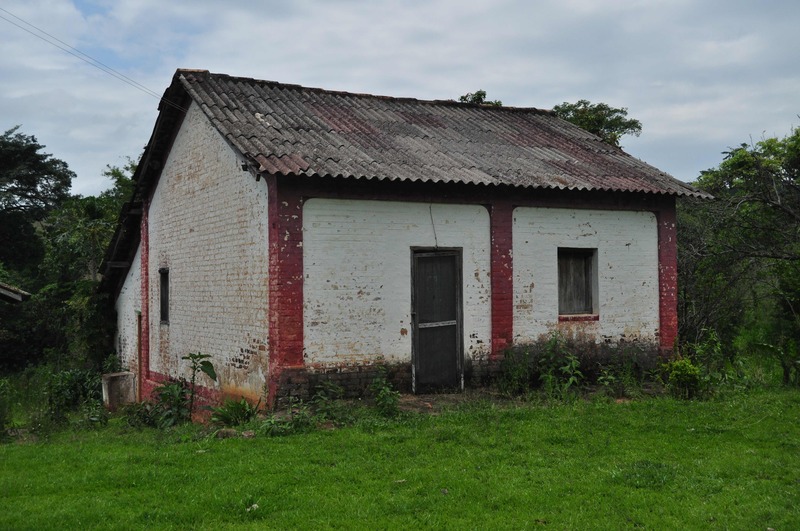 Located 300 kilometers northwest of the city of São Paulo, Igaraí – population 2,119 according to a 2010 census (source – Instituo Brazileiro deo Geografia e Estatistica), is an archetypal example of São Paulo’s rural farming towns. The majority of the population descends from families of farm workers who have lived in the area for generations. When talking with residents of peripheral neighborhoods in São Paulo I often hear stories of grandparents, parents, brothers, and sisters who have moved to the city from the interior, northern, and northeastern states. The stories in Igaraí are similar in nature; they are stories about parents and grandparents who grew up on regional farms and their eventual, be it much shorter, move to “the city”. Areal map of Igaraí 2010 - Guilherme Zaneti complex under construction, upper left. 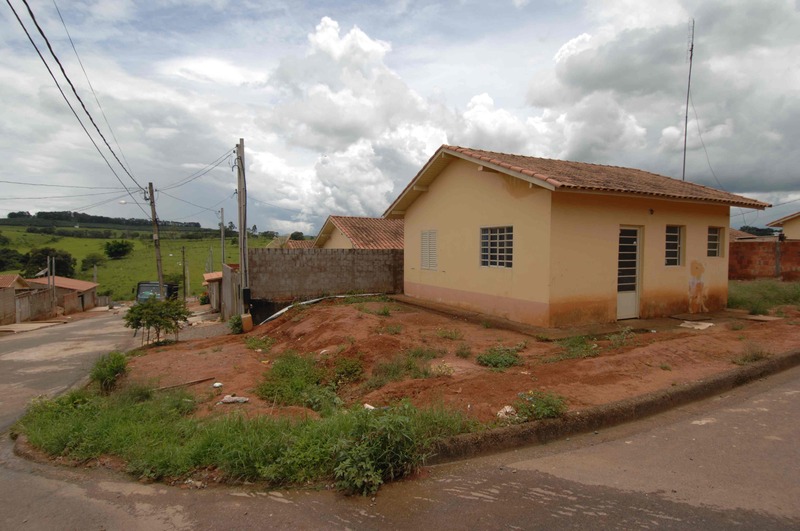 As a town Igaraí is a sort of peripheral neighborhood itself, accompanied by all the social stigma this brings. It is not an independent municipality; it is under the jurisdiction of and governed by Mococa, a city of 60,000 (source – Instituo Brazileiro deo Geografia e Estatistica), 26 kilometers away. Igaraí relies on Mococa for policing, governance, planning, and services. Like peripheral dwellers of large cities, most Igaraí residents, particularly those who work in service jobs, make a long commute to Mococa every day for low wage jobs. 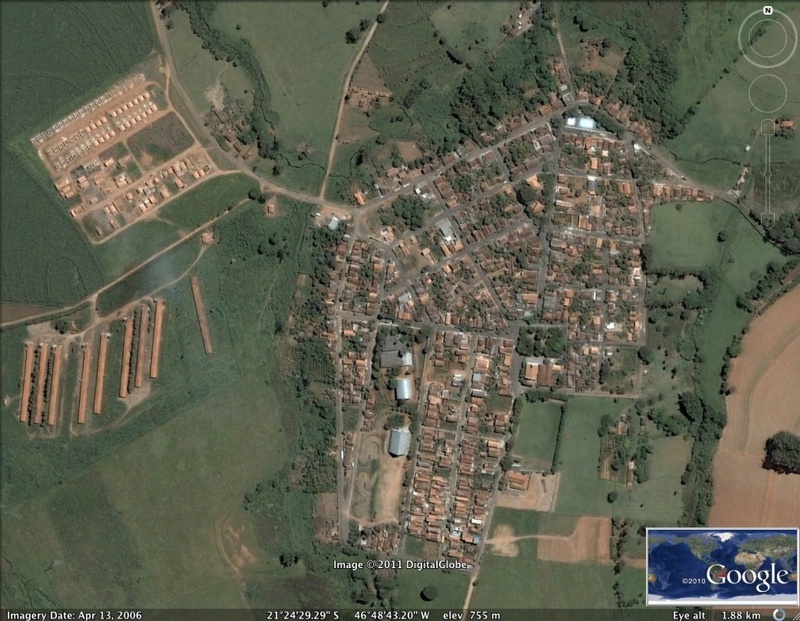 Layered within the Mococa / Igaraí – city / periphery relationship, Igaraí has a peripheral neighborhood of its own. Physically and socially distanced from the town center the Guilherme Zaneti public housing complex is comprised of approximately one hundred homes, fifty-seven of which were built between 2009 and 2010 by CDHU – a branch of the state’s secretary of public housing. The neighborhood was socially stigmatized from the onset, nicknamed the $1.99 complex because the cookie cuter houses resembling something that could be purchased at a $1.99 store. This periphery was not “auto constructed” in outlying city territories over a period of decades like many favelas of megacities, quite the opposite, in fact. It was purchased, planned, and built on a plot physically distanced from Igaraí. The only pedestrian access to Igaraí is along the curve of a dangerous rural road where large sugar cane trucks pass at high speeds. There are very limited grocery options in the Guilherme Zaneti complex and residents must travel into Igaraí for all basic services, schools, and community events. From my experience the difficulty of the complex is not one of measured physical distance, this, in fact, is relatively small. The question is of integration, or as it is planned separation. My experience when talking with residents is that the physical distance is strongly felt and that they feel stigmatized by residents of the main part of Igaraí a town that already feels stigmatized by Mococa. Residents are worried about their children who want to walk along the busy throughway to access friends and activities in the town center. The neighborhood lacks sufficient park space, lighting, policing, access for persons with disabilities, and water drainage. Issues that we usually associate with favelas and poor neighborhoods of large cities. Considering Igaraí as a one of many examples of peripheral urban relationships we, as planners, architects, designers, and social workers must reconsider our concept of periphery. Peripheral circumstances and their implications are not just conditions of quickly growing megacities, they are equally ones of small cities and rural towns.